Print Monitoring is a powerful feature in Smartlaunch where customers in your store can print documents or photos directly from the Smartlaunch Client. The SL Server/Admnistrator will automatically the print transaction under the customer transaction list and deduct the money depending on how much the printing costs. 1. 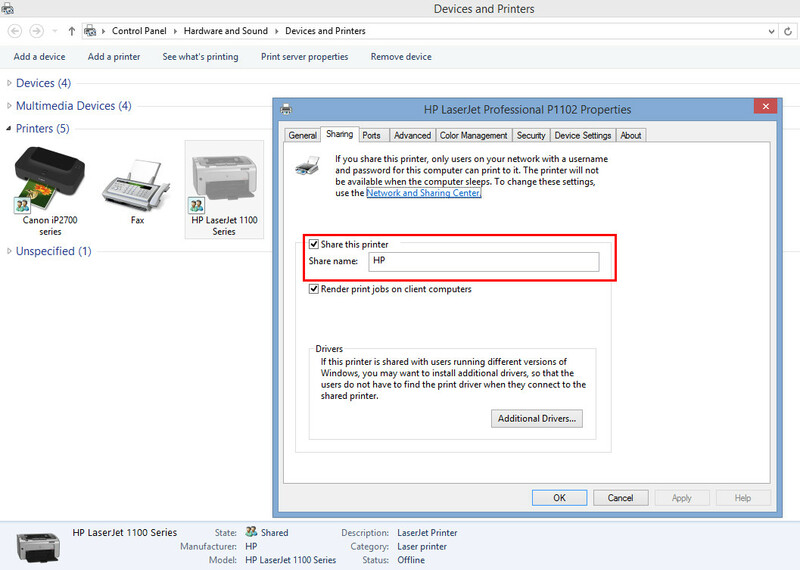 Connect the printer to the Server/Administrator PC and any corresponding drivers. 3. Once installation completes, do a Test Print to ensure it is able to print. 5. 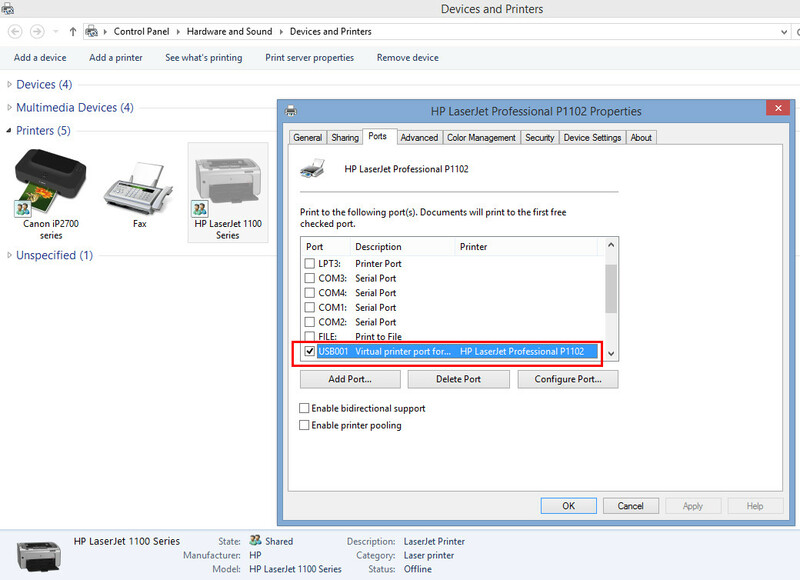 In this example we use HP Laserjet 1100 Series printer. 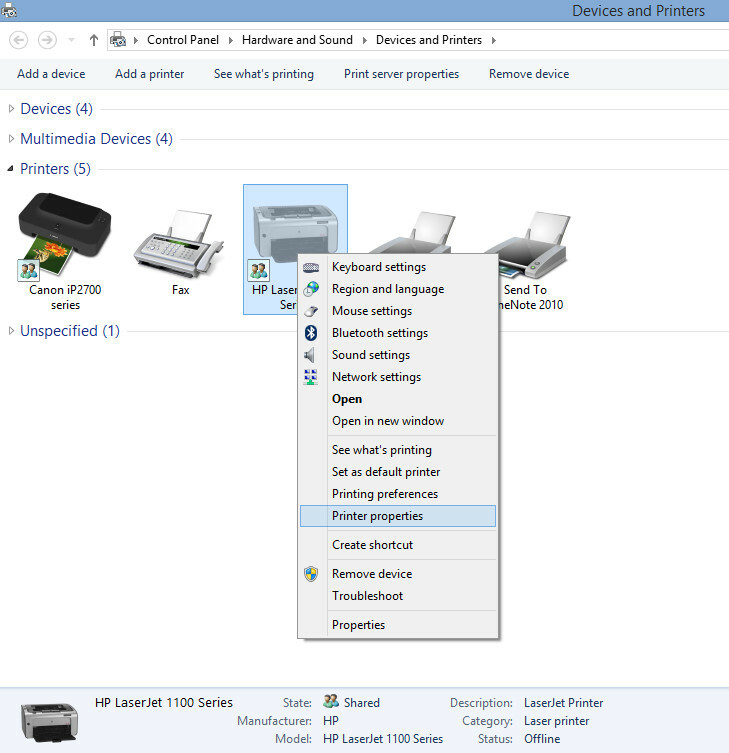 Choose the printer and right click on the printer >> Printer Properties. 8. Once the printer is installed and shared properly you will notice the icon of the printer has changed. 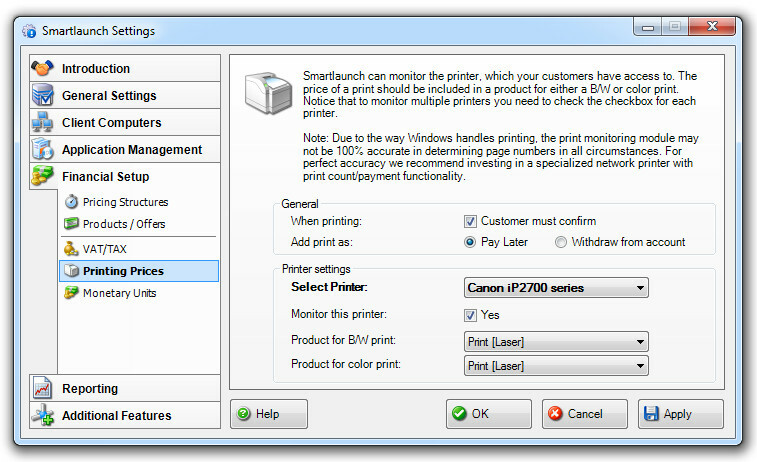 Smartlaunch has a built-in printing monitoingr, which can charge customers’ print jobs automatically. You can find the printer monitor setup in the Financial Setup -> Printing Prices tab in the Smartlaunch Server Settings. Under Select Printer, choose the printer you want to monitor. Enable it by checking Monitor this printer. Note – The printer you choose to monitor must be connected directly to the Server / Administrator. 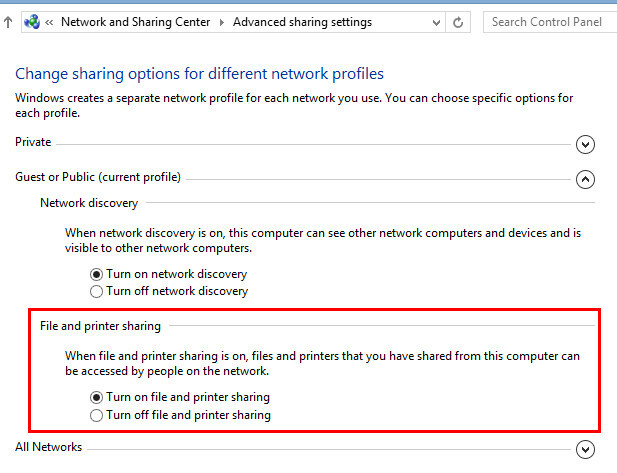 To learn about how to Add printers to each client PC, read the guide How To Connect the Client PC to a Shared Network Printer.